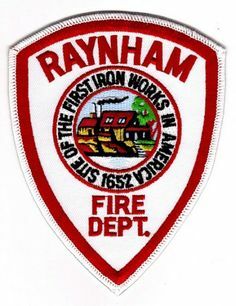 RAYNHAM — Chief James T. Januse reports that the Raynham Fire Department extinguished a house fire that started in an electrical outlet where Christmas decorations were plugged in Monday morning. At approximately 2 a.m., Raynham Fire responded to 248 Warren St. West for a report of fire inside a single-family home. Upon arrival, all four members of the household were out of the house safely. The homeowner directed firefighters to the living room next to the Christmas tree where the fire was burning. The fire was quickly extinguished and was contained to the living room by firefighters. The house sustained water damage on the first floor and basement and smoke damage throughout the house. No injuries were reported. Due to the damage, the residents were displaced and went to stay with relatives. Members of the Taunton and Bridgewater fire departments assisted on the call. The initial investigation indicates that fire started in an outlet where Christmas decorations and a sub-woofer were plugged in. Chief Januse would like to remind residents not overload their electrical outlets when plugging in holiday lights and decorations. Fasten outdoor lights securely to trees, the house, walls or other firm support to protect from wind damage. Use no more than three standard-size sets of lights per single extension cord. Turn off all lights on trees and other decorations when you go to bed or leave the house. Lights could short and start a fire. According to the National Fire Protection Association (NFPA), between 2012-2016, fire departments responded to an average of 170 home fires that started with Christmas trees per year. These fires caused an average of four deaths, 15 injuries and $12 million in direct property damage annually. Before placing the tree in the stand, cut 2 inches from the base of the trunk. Make sure the tree is at least 3 feet away from any heat source, like fireplaces, radiators, candles, heat vents or lights. Positions the tree so that it is not blocking an exit. Use the appropriate lights, as some are only for indoor use, and others are for outdoor use. Replace any string lights that have worn or broken cords or loose bulb connections. Read manufacturer’s instructions for the number of light strands to connect. For more information on Christmas tree safety tips, visit the National Fire Protection Association website or contact the Raynham Fire Department at 508-824-2713.